Full Moon in Scorpio shines her light on our shadow. She is giving us an opportunity to show ourselves totally, all the so called ‘good’ and ‘bad’ sides. This Full Moon is asking us to put our cards on the table and without any rejection to simply look at what we see. 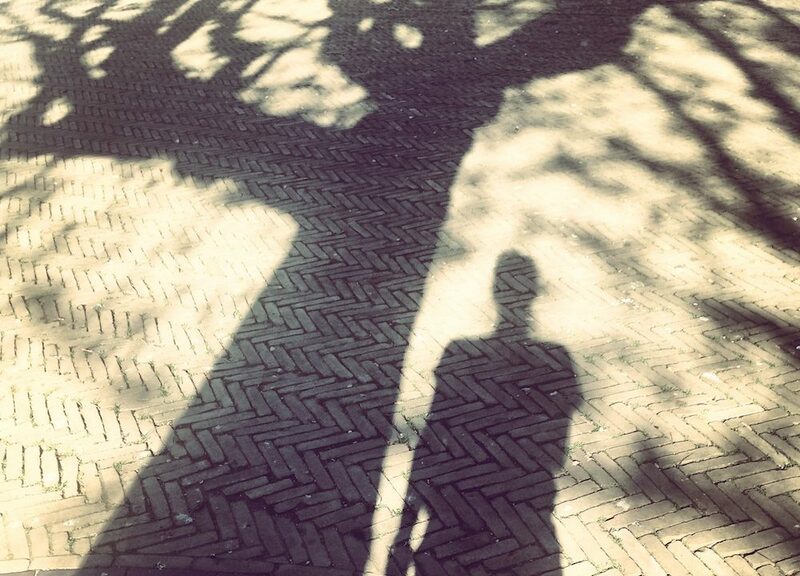 Shadow may sound obscure or mysterious, but actually it is really simple. Realize that everything that seems to be going on around you is a projection of your inner world. Anything from the outside that triggers you, that makes you angry or sad, and that you then project onto another or the situation, directly shows you you are dealing with a shadow of yourself. For example, someone is really annoying you, this points you toward a side of yourself you are still unaware about. That which you reject of the other person you are (un)consciously rejecting of yourself. Let’s say someone is talking real loud at a party, telling all these interesting stories to catch peoples attention and this is really putting you of. Or the opposite, you meet someone who has a very hard time to express themselves, which makes you really impatient. In both cases they trigger you because they do something you do not allow yourself to do, you have a judgement about it. You think you are rejecting them with your judgement, but actually you are rejecting yourself, and rejecting yourself hurts. Because we are programmed to avoid pain, we are avoiding our self rejection and voila, a shadow is born. The good new is: there is no shadow without light. By becoming aware of your thinking patterns, your ‘inner judge’ that is continuously approving or rejecting, you are shining the light of your awareness on your shadow and this will eventually make them disappear. Mind you, this is not about rejecting or disapproving your thoughts, or trying to change them, it is really only becoming aware of them, becoming aware of the fact that you are able to see them. Thinking patterns about right and wrong, what is and what is not allowed, are linked to our childhood. It doesn’t matter how great of a job your parents did, eventually we all did something ‘wrong’ and we started to adept ourselves to not make them angry again. This is an innocent pattern that can cause trouble later on if you do not look into your thoughts and just allow them to rule your life. This Full Moon is asking you to ‘reveal yourself’, also what you would call the less attractive sides, and your pain. Don’t cover up it up with a smile trying to ignore what you are feeling on the inside. Who are you trying to fool anyways and why? By denying what you feel, you keep the feeling alive. It truly is a vicious circle: I feel bad. I don’t want to feel bad (rejection of the feeling). You push the feeling away or project it onto somebody or something around you. Or you look for distraction (approval and love outside of yourself). Both strategies will empower the feeling and make it more real. It takes a lot of energy to suppress it and at the end of the day it wont help you getting rid of the feeling. The invitation simply is to slow down and calmly look at the thoughts that are causing you to feel bad and then allow yourself to feel bad (it’s ok to feel bad). In the meantime you realize you are able to observe all of this (just like while you are reading this you know that you are reading). All of this is taking place in your conscious awareness. If you keep looking the dog that is biting its own tail and wonders why it’s having pain, will disappear. It dissolves, you let go, you are no longer biting and the pain leaves. Every Full Moon emotions get more intense, but with Full Moon in Scorpio it tends to get even intenser. Instead of finding this annoying (rejecting your emotions and thus yourself), embrace this opportunity, every emotion is a knock on the door to yourself. All your feelings of jealousy, anger, blaming fingers, always point back at yourself, to your own self-rejection. Are you fed up with this, do you no longer want to put the cause of what you are feeling outside of yourself and thus remain in a victim role? Then take full responsibility for what you feel and be happy with every trigger, because it gives you a chance to practice, to see the mechanism of how the ego tries to protect itself whilst actually causing more pain. Fully feel you feeling, embrace it in its totality without judgement, no matter how afraid this may make you feel in the first place. When you do this, it will only stay intense for a few minutes and then it will leave. If on the contrary you hide your feeling and allow it to linger on the background it will disturb your inner peace. And not just the peace inside of you, also in your relationships. Dare to be honest, don’t be afraid. If you are brave enough to go straight through the fear the only thing that remains is love. Use the powerful technology of Kundalini Yoga to support you with this! We are offering you two possibilities to bring it to practice. 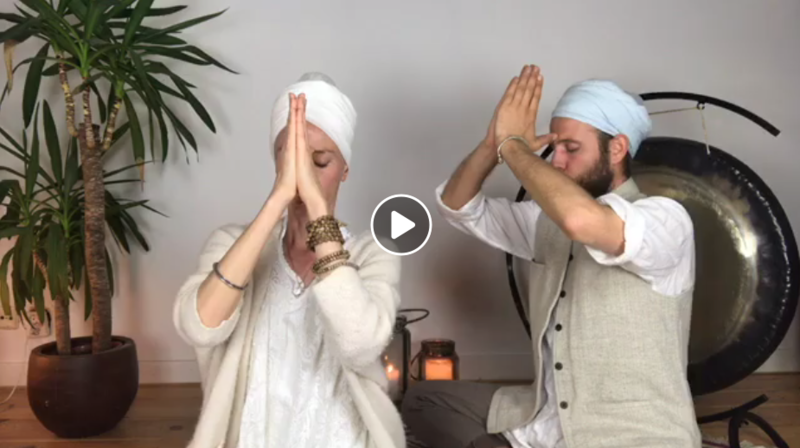 Watch the replay of the Full Moon Session on here our FB page Kundalini Yoga School. No previous experience is required.